Whether you need a simple filling, a root canal or complete smile makeover. We are here to help! You are never too young or too old to begin looking after your teeth. 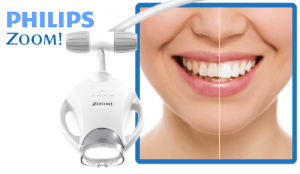 Dr Jones and her team, with the aid of state of the art technology and equipment, can straighten, reshape, whiten, restore and permanently replace missing teeth. Many restorative options and materials are offered including ceramic, porcelain, Emax and composite resin. Each treatment is individually tailored to suit you, with consideration of your concerns, priorities, your health and well-being and your budget. We always begin with a comprehensive examination to better understand your dental needs and expectations. 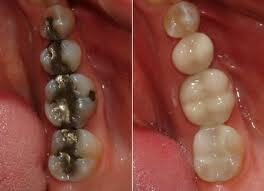 Do you have an unsightly old amalgam filling? We have a range of materials available to improve the look and ultimately the health of your teeth. Amalgam restorations were used in a bygone era and have no place in modern dentistry. Let us update your restoration today and improve your health overall. Some restorations need to be fabricated in a lab for best results. Our team at Enhance will make an assessment to determine what kind of restoration is best suited to the individual patient. If a lab inlay or onlay is required we will first prepare the tooth before taking a detailed impression and sending this via courier to our local laboratory to be finished. A provisional temporary restoration will be made to protect the tooth whilst your restoration is being hand crafted. Have you been told you need a crown? Or perhaps you have an old bridge that is failing you. Enhance Dentistry is able to prepare a full coverage crown with no visible ‘grey’ margins or a beautifully finished bridge using the very best modern dentistry has to offer. All whilst ensuring the integrity of the natural tooth. Our aim is to be as conservative as possible to ensure long term success. For those patients who wish to improve their smile, a set of cosmetic veneers is an excellent option. With minimal fuss we can prepare the surface of the tooth for a ceramic veneer, made in lab by trained technicians, to be finished within 7-10 days. The results are simply breathtaking. An ordinary smile can become extraordinary in the blink of an eye. It is worth noting that when done well your crowns, veneers or bridge work should be completely natural. A perfectly balanced, natural and aesthetically pleasing result is what the team at Enhance strive for with each and every case. For many patients the mere mention of the words root canal is enough to incite fear. For years, the process of completing a root canal was dreaded by many. Fortunately, dentistry has evolved over the years as has the technology and the skill set of most modern dentists. The team at Enhance are no exception. In performing a root canal it is important to work with clear dental x-rays in order to identify the apex of the tooth and any infection present. It is also vital to complete the various stages and not cut corners. When done well a root treated tooth should not cause you any pain or discomfort. And when stabilised with a crown (the tooth becomes rather brittle after a root canal) the tooth should be sound for many years to come. Of course if you opt not to complete a root canal you could instead have the tooth extracted and consider a dental implant but why spend thousands replacing a tooth when you can save the tooth you have? Bleeding gums are not normal. 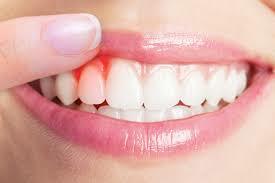 Red, inflamed and sore gums need treatment. It is critical that you see your dental hygienist or therapist every 6 months to maintain optimal oral hygiene. And for some patients it may be more frequently. For some, particularly those with diabetes or patients who smoke, you are more likely to develop periodontitis – gum disease. This disease if left untreated could have serious consequences. 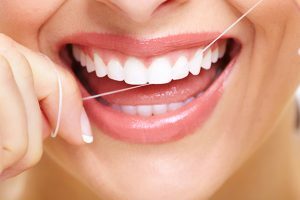 Think you may have gum disease? Do not hesitate. Please phone to schedule an appointment before things deteriorate and your teeth cannot be saved. At one time or another we have all wondered what it might be like to have whiter teeth. Maybe you have a wedding coming up and you want pearly whites for the occasion. 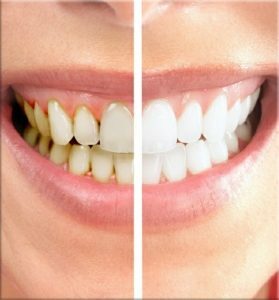 Or perhaps you just want to enhance your smile without the expense of a smile makeover – whitening is the quickest and most economical way of enhancing your smile. It is fast and very effective. Do you show too much gum when you smile? Ever been told you have short teeth and not sure what can be done? Are dental veneers your only option? Not necessarily no. In fact, for some patients a simple gum lift or gingivectomy is all that is needed. Often this can be done under local anaesthetic, in the chair without the need for a referral to a specialist periodontist. The results can be very dramatic and often change the appearance of your smile in as little as one visit. Maybe you have lost a tooth or have a tooth that you know needs to go. The good news? Dental implants made of hospital grade titanium are able to replace one, two or multiple missing teeth with relative ease. After a series of radiographs are taken to check the quality and density of the bone, an implant can be considered. 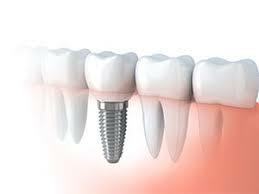 If you are a good candidate for a dental implant the planning process begins. Often we do so in conjunction with our lab to ensure best results. 3D software is often used to plan the placement of the dental implant so that nerves can be avoided and optimal positioning is achieved for restorative purposes. Where appropriate we refer you to an oral surgeon for the placement of the implant. The team at Enhance will work with you to prepare the implant crown, once the implant has fully integrated with the bone. Though some implants can be loaded immediately, others require 3 months to osseo-intergate. The process should not be rushed and you should be guided by your surgeon as to when the implant is ready to be loaded. For many years amalgam was the preferred material for simple (and complex ) fillings. What we know now is that there are far better options available to modern dentists. Gone are the days of unsightly, large metal fillings. Gone is the risk of the mercury leaking into your blood stream and wreaking havoc on your health overall. Under controlled circumstances the amalgam can be removed, the tooth cleaned and a new, robust (and tooth coloured) restoration can be placed. This is perhaps the simplest way of enhancing one’s smile – particularly when old amalgam fillings are visible. There is overwhelming evidence to suggest that a lip or tongue restriction is linked to breastfeeding issues, speech difficulties, jaw development, snoring, headaches and even neck pain. Dr Jones has a particular interest in this area and even founded the Tongue Tie Institute. She has been treating infants, toddlers and adults alike for more than a decade. Suspect an oral restriction for you or a loved one? Don’t delay, contact us now to free yourself! In doing so, we can all but assure our patients their treatment will be successful long term. Particularly when treatment is carried out with a team approach. Working closely with a team of trained professionals ensures best outcomes for our patients of all ages. The Australian Dental Association (ADA) has always promoted annual visits to your dental professional for a check up and clean. In more recent times, and with systemic illnesses on the rise (and a scientifically proven link to gum disease) they have gone as far as to suggest seeing your dentist every 6 months for a preventive visit. Regular examinations and cleans are a critical part of your dental regime, in addition to what you do at home of course. Our lovely therapist Michelle, is waiting to meet with you to ensure your gums, and teeth, are in the best shape they can be. For what seemed like decades there was only one real option when it came to straightening your teeth. Now the choices are endless it seems. So how you determine what is best for you? You begin with a comprehensive examination at Enhance of course. If you would like to improve your smile by straightening your teeth we can help you. Or maybe you have a child and their teeth seem to be coming through and you have noted they are very crowded. We can help. We have a solution for almost everybody. Whether is is Myobrace for the youngest members of your family or clear aligners for those of you looking for a more discrete treatment option – the team at Enhance will tailor a treatment plan for you.